To maintain a fish tank, you should use some necessary tools. And one of these devices is an aquarium filter. Thanks to the aquarium filter, you do not have to change water and clean the aquarium all the time. It also helps you keep clean the fish tank. You can take advantage of using the aquarium filter, but how can you find the best one? The fact is that this is a piece of cake to look for. What makes the best aquarium filter? Of course, the first authority of an aquarium filter is clearing up debris and other dirty things. And most people always stay focused on this point. Nevertheless, there are other factors a fish aquarium owner should take into account. And I think you should do it, too! Canisters are top rated, but these are the most expensive filters. They have 3 main stages of filtration that you enable to add, get rid of, and change the filtration material. Primarily, these are containers which have an inflow and outflow of water technology. They still maintain the cleanliness of aquarium water longer than other filters. 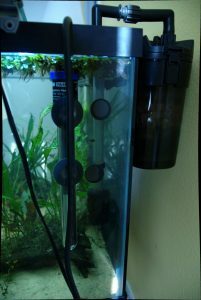 If you have a big tank, canister filters will be a great option with powerful filters and various water flow. Of course, you enable to choose a smaller canister for your tank. Hang on filters would be fantastic for the open fish aquariums. They often offer 3 kinds of filtration if they have good quality. However, these require some changeable cartridges. They may also inflate with a small waterfall they make. If you are having a saltwater tank, then you could consider a trickle filter. Nonetheless, the price for establishing this filter is not affordable at all. Use it when your tank needs to deal with the biological filtration. These are quite popular filters used nowadays. They usually offer chemical, biological, and mechanical filtration as well. They, of course, have different sizes to fit on each side of the aquarium (up to 75 gallons). Most novices love these because it is easy to set up and use. Also, they do not get stuck with the maintenance when it is time to do this task. The price is so economical for most people as well. There are also a few fresh aquarium filters which include sponges and can move the water by aeration. However, they often have poor performance because of slow water flow. Moreover, you enable to think of self-made aquarium filters, but be sure to find out the reliable source. How about the filtration system? 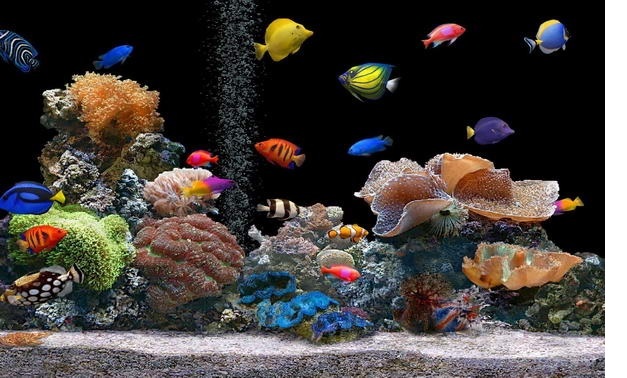 Before choosing the aquarium filter, I think you should know 2 things. Ask yourself why you should need to get a high-quality aquarium filtration system and how it does. Absolutely, an excellent filtration system is one of the largest investments and could become the difference between an enjoyable thing and a stuck nightmare. Fortunately, picking the true system could be hard because there are various options. Solid waste: the filter and sponge floss you change in the filter will help you remove dirt and debris. This is called mechanical filtration. Organic waste: When you turned on carbon in your filter system, you are hoping it controls anything which is dissolved in your aquarium water. It could be making odor or discoloration. This is the chemical filtration. Biological waste: this is the main consequence of the nitrogen cycle like ammonia and nitrate. These are removed by a biological filtration like Biomax or Seachem. Today, you may hear the chemical filtration system and you do not know what it is. In fact, this is the process of removing or neutralizing chemical substances from aquarium water with the support of dynamic carbon only. This unit is popular for its performance and reliability. It is designed with a five-stage filtration process. So, it can help to maintain a clean aquarium. There are three filter media types, including biological, mechanical, and chemical. Besides these three filtration media, this filter comes with other beneficial features. For instance, it can be able to process 264 gallons of tank water per hour. 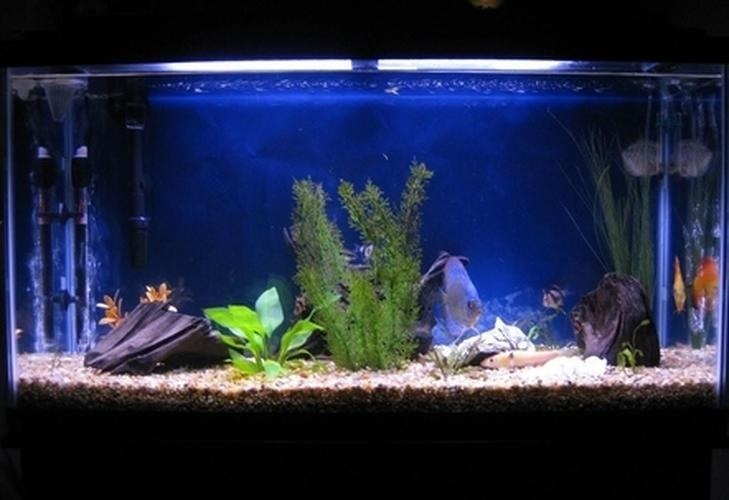 This aquarium filter also comes with a patented control system. Therefore, you can take control over the water flow. At the same time, it helps to protect the tank inhabitants. Plus, it’s easy to maintain it. This is one of the best choices when it comes to aquarium filters. It offers attractive features at an affordable price. Actually, it’s considered as a Power Filter, so you can set up it on the back of the aquarium. It’s easy to use and clean this filter. It comes in all three types of filter media, including biological, mechanical, and chemical. It can be able to clean your tank effectively. In addition, it features an automatic startup. You can choose this product for a 55-gallon to the 75-gallon aquarium. In fact, it is capable of processing approximately 400 gallons of water per hour. In spite of its high capacity, it produces little to no noise. However, this option is not great for goldfish and Betta Fish. If you want to get a great aquarium filter for small aquariums, this product is made for you. You can set up it on the back of the aquarium wall. In fact, this option is safe for children. Moreover, it’s also easy to clean and install. It comes with a filter pump made with energy efficiency in mind. However, you may want to get a larger aquarium. Then, you can want to consider a larger filter to handle a higher capacity. Once again, this unit is a good choice for beginners with small aquariums. However, it requires you to clean the propeller box once power outages. Besides, the filter may make noise for some. If you need a filter for experienced fish hobbyists, consider choosing the Penn Plax. It’s capable of big things. You can use it for large aquariums with a large number of inhabitants. Also, it’s considered to be an aquarium filter for saltwater. It can be able to remove debris as well as impurities thanks to the mechanical as well as chemical filtration media. This option can handle up to 100 gallons of water per hour. Especially, it offers a very quiet operation. The last filter we want to mention in this list is the Fluval 206 External Canister Filter. It’s a perfect choice for smaller aquariums around 40-gallons. It’s easy to use because of the user manual and start-up guide. There are all three filtration media, including biological, mechanical, and chemical. Also, it’s a good option for families with young napping children because it’s nearly silent. You can easily access and clean it when needed. However, it comes with a basic output nozzle without a spray bar. Along with the aquarium filter, fish tanks should have carbon pads. These often utilized in a few different models of a filter. They feature great carbon element like a charcoal of getting rid of many toxins from the aquarium water and enhancing its clarity. More importantly, all items containing carbon have a limited lifespan only. You should replace them when they reach their end using day because they can leave other dirty components back into the water. Filtration systems play an important role in owning fish as pets. If you don’t have filtration, your fish can be ill. They also may likely not survive. That’s why it’s important to choose the right filtration device for your desired fish tank. When you want to look up the brand for your aquarium filter, you should find some most ones like API, Eheim, Fluval, and Marineland. Finding the best aquarium filter is not a hard game to play anymore. Break a leg! One of the most important pieces of equipment you have is the tank filter. That’s why it’s important to keep it clean. Nowadays, there are many types of filters you can choose from. But, many aquarium hobbyists don’t know how to clean and maintain their filters. Keeping a fish tank clean play an important role in ensuring your fish are healthy.In this post, we will guide you to clean a canister filter. Check out to learn about it. This is the first important step you need to do before touching anything else. You need to unplug it from the power socket. Then, don’t forget to check the outflow tube.You just proceed to the next step if you see no water coming out of it. After unplugging your canister filter, it’s time to turn the shut-off valves horizontally. This has the purpose of preventing water from spilling out while disconnecting the tubes from the motor housing. In this step, you have to turn the locking nut off of the threaded pipe gradually. Do this until the locking nut comes loose. You need to know that there will be trapped water in the motor housing that comes out. Then, you have to set the pipes aside. In this step, you need to transport the filter to an area. More importantly, make sure that you won’t get a little wet. It’s best to do this outside near a hose or at the kitchen sink. In addition, you have to have the high-pressure water. If you want to do this, it’s essential to release the locks on all four sides. This purposes to remove the housing.Once again, you may see some water spilling out. But, don’t worry! When removing the housing, you need to do gently. Then, set the housing aside. We recommend you to grab a towel for more water than expected spills out. If you want to remove the guts, you have toremove everything in your filter. But, don’t remove the trays holding your biological media. You need to soak them in water while cleaning the rest of your canister filter. This helps to avoid the loss of beneficial bacteria needed for your fish. Remember that you will have to put these items back in very quickly. That’s why we recommend you to keep them close to you. Rinse the media traysremoved in your sink or hose. Then, use an old toothbrush or scrub pad to clean them. By this way, you can remove all of the gross and slimy algae. In addition, you also need to clean the filter pads well. When removing the impeller from the motor housing, be careful! The reason is that it’s extremely fragile. So, it can be broken easily.Also, carefully clean the impeller because they are so fragile. Don’t too worry. You can buy replacements almost aquarium supplies stores. This step is very important. Indeed, if you ignore this step, it can affect the performance of your filter. As a result, the motor may be damaged due to the resistance the gunk on the impeller. In addition, don’t forget to clean the plastic parts around the impeller. To do this step, you need the toothbrush. Avoid using a scrub brush because it can make more pressure on the impeller. This step is also an important step. You have to take a q-tip and then hold it the hold consisting of the impeller. The sides of this hole are able to collect a bunch of gunk that makes a malfunctioning impeller. In this step, you need to take out your biological media trays. Do this as fast as possible. Then, set these strays aside. You can use a bucket of aquarium water and set them on. It’s a bad idea to reuse this water. Spray some high pressure into the canister filter to clean it. Then, rinse the filter out again. You can prepare a really clean cloth to wipe your canister filter. It ensures to gather all of the slime and debris. For this step, you just need to put everything back in the canister filter. Then, you have to lock the motor housing in place. Next, it’s time to bring your filter back to the aquarium. Remember to screw the shut-off valves. The first thing you need to do is turning the valves back to the “on” status. In order to do this easily, you need to lift the front locking bracket up. Don’t forget to watch the water level. And, remember to lock the bracket back in place right after the water level hits the motor housing. Last, you need to plug your canister back in. Then, use the top priming button a few times in order to prime it. Make sure everything can work well. Both the plug and your hand have to be dry if you don’t want to get electrocuted. Aquarium filtration is a great thing for most people. Many people have a misconception. They think that the filter should care for overfeeding and as well as keep the water perfectly suitable for fish. Most of the new filters are complex, large, and expensive. You may not know the amount of filtration is the cause of most problems. In this post, we will help you clear up the mystery as well as understand this. It’s easy to keep your aquariums not only clean but also suitable for fish as you see. There are three basic methods to filter water including chemical, mechanical and biological filtration. Most filter systems are related to a combination of at least two of them. In addition, some use all three. Now, let’s take a look at this post for more details. In order to remove an impurity, you can consider using an item such as carbon or zeolite. The chemical reaction normally is very short lived. In addition, it can lessen rapidly from the very beginning of the use. In my mind, you should think about this type of filtration as a temporary measure when you prefer to do an extraordinary amount of maintenance on a continual basis. This is a great choice for removing medications from the water. Also, it’s great to reduce sudden spikes of toxins. You should have some of these items on hand. However, it’s not good to incorporate them into your daily filtration system. Generally, you may have to waste time and money on doing this. This is related to the trapping as well as removal of waste particles. Actually, this is considered as a great idea. In fact, most filters can’t do it for the aquarist effectively. Most mechanical filters can be able to work well for trapping some particulate matter. They come with a tendency that moves the water too fast. That’s why it may break the particulate matter into smaller pieces. The fact is that these small pieces will be going to become suspended. They contain the dangerous heterotrophic bacteria. And, they may be harmful to our fish. You need to keep the bacteria away from our fish. 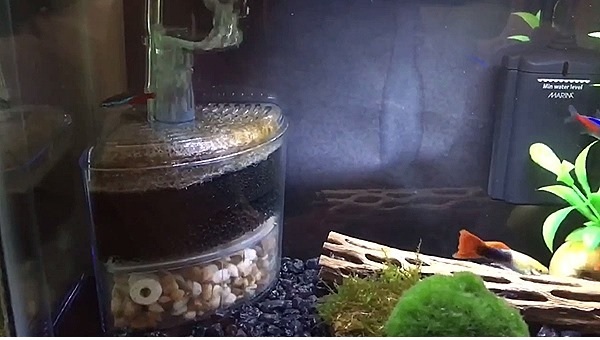 Filters moving water through the aquarium at higher speeds can be able to make it worse. Small waste particles are considered to be the enemy. Filters moving water too fast can create a large number of small bubbles and make them become an even greater problem. Water movement needs to be slow enough to cause the particles in order to encourage small waste particles to settle in the filter chamber. It’s hard to achieve this with most power filters as well as canister filters. Very large aquariums come with proportionately large settling chambers. Aside from removing these particles from the water column, you should remove them from the bottom of the tank. That the fins of fish often touch the bottom can cause problems when your fish friend rubs against them. Thus, you should draw a filter from the tank bottom as well as anything it can’t get. After you let waste be on the tank bottom for more than one day, it will turn into an unsightly mulm. At this stage, it can be able to increase the dissolved solids in the water. That’s why you need to make much difference by cleaning your filter a couple day. During this process, nitrifying bacteria actually break down nitrites and ammonia as well. In fact, it’s not difficult to have adequate nitrifying bacteria in aquariums, including ornamental fish. You can have to raise somewhere around 100-150 adult angelfish when it comes to a 20-gallon tank. In the one with angelfish or other ornamentals, problems from heterotrophic bacteria or dissolved organics could destroy the fins. Also, they may be able to kill the fish long before ammonia become a problem. A surprisingly small biological filter can help to deal with the ammonia produced in the average aquarium that has ornamental species. Thus, it’s not hard to provide with a small inexpensive filter. The fact is that chemical filtration is not great for most aquarists. Also, mechanical filtration performed in a manner can be detrimental. Actually, most aquarists depend on these. And, some of the most expensive filters may be also the least effective. An undergravel filter is one of the oldest filters. Water flows through the gravel will create a very effective biological filter. If you set up the flow going down through the gravel, it will create an effective mechanical filter. If they are maintained properly, they will be very effective. You won’t have to pay much for buying them. So, they are the best options for an aquarium with a substrate. When you set one up, remember to put the filter plates on the bare tank bottom. Then, you use a layer of polyester batting in order to cover them. The foam purposes to protect the substrate from falling into the filter plate. In addition, it helps to give the greater surface area for nitrifying bacteria as well. Also, you have to cover it with a substrate. When you do a water change, you need to remove particulate matter thanks to a gravel cleaner. When it comes to breeding operations or the raising of fry, you should consider using bare bottom tanks. But, the fact is that not all foam filters are great. You have to choose one with a pore size appropriate for keeping your fish. It’s best to provide an adequate surface area for nitrifying bacteria. Not all filters come in a specific size for a particular number of gallons of water. They help to consume ammonia and nitrites from a particular bio-load. This includes the total mass of fish as well as heterotrophic bacteria in the tank. They need to be sized accordingly to the number as well as the size of fish related to water temperature, Ph, age, and a few other factors. Although the 5 gallon is just a small one, this part is still an important part of the equation. Especially, it’s important when you want to work with delicate fish like bettas. The fact is that impurities and debris can be able to mount up quickly. Bettas are one of the most common fish for beginners. They require you to give them the right kind of care as well as attention. This purposes to keep them healthy and safe. But, it’s not easy to determine the best betta filter for you. Check out this post, we will give you five best filter for 5 gallon fish tank. Then, you can choose the right one. If you want to get something with the benefit of being a living plant, a toy for your bettas, a biological filtration device, and an adorable low-maintenance aquarium ornament to boot, this is a great choice for you. They are gorgeous decor items. Actually, these moss ball are also live plants absorbing nitrates from your tank such as phosphate and ammonia. They can be able to oxygenate the water. This is really a great option for a small tank of 5 gallons. It can help to keep the water fresh without using a mechanical or power filter. They are available in sizes from “nano” to “giant”. This product is completely natural and eco-friendly. Especially, this unit is dyed or painted. In fact, it is made of 100% natural moss. They require some light as well as freshwater to survive. The thing you need to do is giving it a gentle wash first. Next, you have to submerge it in the aquarium right now. In addition, don’t forget to rotate them regularly. By this way, you can prevent them from developing brown “pressure” spots. This choice helps to reduce algae growth thanks to the added advantage. They enjoy eating the same nutrients as algae. That’s why they absorb the available nitrates, ammonia, and phosphates. In addition, they can be snail-proof as well. This product is well known for the ability to do the job quickly and effectively. That’s why it’s a great choice. It comes with mechanical, biological, and chemical filtration. In addition, it offers a higher flow rate than other products.It’s best to choose the 10-100g model in order to avoid accidentally ending up with a 50 – 400-gallon monster. It allows you to adjust the flow rate. So, your bettas aren’t spun around in the tank. In order to slow the flow, you need to create a filter baffle. It comes with also an auto-start pump. It can be able to restore. Plus, it has Aqueon replacement filter cartridges in the small size. You can easily find it online. This is another choice for your 5-gallon betta tank. It comes with a gentle water flow. It allows your fish to swim around calmly and safely. This filter is quiet. Also, it has a hang-on system. It uses continuous biological filtration via foam as well as carbon BioMax filter inserts. It helps to protect healthy bacteria in your tank once you remove toxic chemicals as nitrates and ammonia. It offers three media inside it. They include a foam insert on the bottom, an activated carbon filter insert in the middle, and a special BioMax ceramic ring on the top level. Remember that this product is a high-maintenance filter. So, you may have to pay more for it. It requires you to clean at least every two weeks. Also, it’s important to replace the inserts every month. This is a great choice for those who want to find a filter that doesn’t make any noise at all. Moreover, this is also a standard foam filter. This is a small mechanical filter. This filter doesn’t pump any water. So, it has no current to stress your fish. In addition, this unit is a little chunky. The unit is black. It comes with a weighted bottom. In order to avoid that it’s floating, you should squeeze it. By this way, it can be able to fully absorbs the water as well as sink back down. You need to clean regularly sponge filter. It’s best to do this at least every week to 10 days. This is a simple process. The thing you need to do just is using your existing aquarium water. Then, wash the muck off the sponge. Avoid using hot water, distilled water, or tap water. It’s not easy to look for a filter designed especially for a small aquarium. The Penn Plax is a small and inexpensive filter. The zeolite crystals will help to prevent harmful gases and odors. You can easily attach the filter to any air pump just by using your existing tubing. It has a bracket and suction cups that help to attach to your aquarium wall. This option can work best for tanks up to 3 gallons. That’s why you can use it in combination with another filtration method. The cartridge in this filter requires you to change regularly. Because this filter is small and gets filled up quickly. Thus, you need to stay on top of replacements in order to keep your tank healthy, clean, and fresh. Last, you have to choose a filter based on your aquarium as well as the kind of betta you intend to stock in it. There are some things to consider when it comes to selecting a filter. Bettas actually do best with gentle, no flow, and low filtration. If you need a mechanical filter with a pump, you should choose one with a slow flow rate or a rate that allows you to change. Consider one with a cartridge system because you can easily remove it. Remember to replace it regularly. And, you need to determine if the filter is reliable. It’s best to talk to other fish owners for more experience. As mentioned above, the best filter you should choose needs to work for you, your tank, your bettas, as well as your individual circumstances. Depending on your need, you can choose biological, chemical, or mechanical one.